PAINTED BY HAND in our workshop with pure non-toxic plant paints. This technique makes each piece different and unique. ORGANIC COTTON is used for these large cushions. The thick canvas material makes them hardwearing for indoor and outdoor use. Machine washable. DETAIL a thin layer of cotton batiste carries the Logo print which contrasts the thick canvas material. The Cushions have a frayed edge detail. 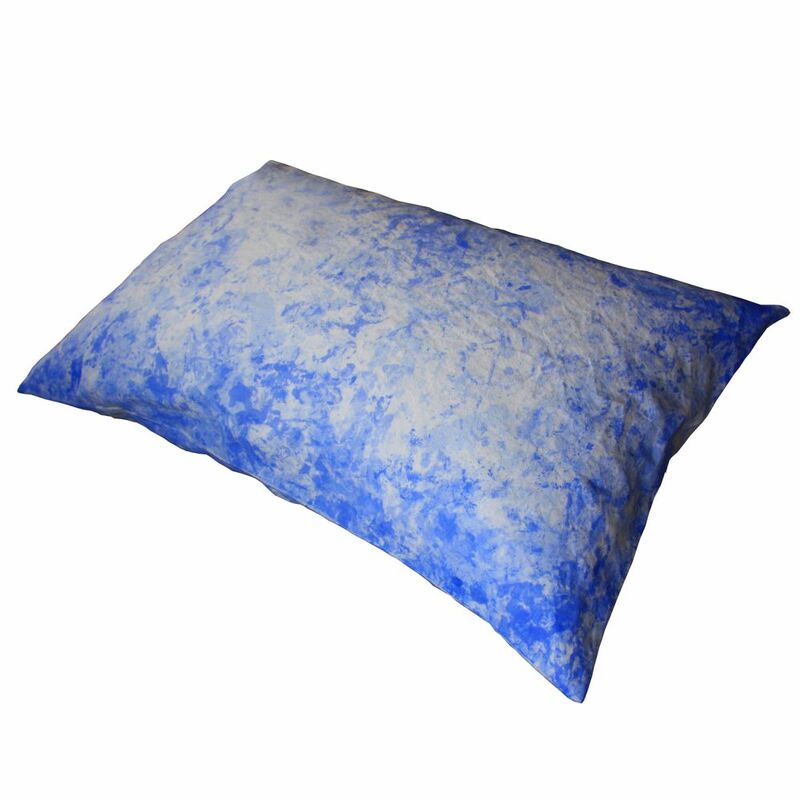 PAD These cushions come with natural feather pads that are certified with Oeko Tex Standard 100.